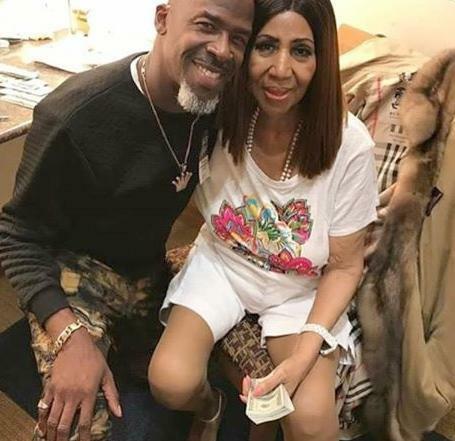 *Being that this is the internet, somebody seeing this mouth dropping photo of Aretha Franklin may already know the who, what, why, here & when behind the pic. In the meantime, we’re either too early or too late (as far as some may be concerned). That’s what happens when people post stuff with absolutely no info. This was posted to an #ArethaFranklin hashtag/group on Instagram. We know a picture is worth a thousand words, but for it to make sense, you need the answers. Which we don’t have … as of this posting. The bottom line is this is a very, very interesting photo of Aretha Franklin for obvious reasons. Please feel free to post YOUR thoughts. Here’s an equally interesting video clip of Aretha during her recent performance in Northern Virginia. Aretha Franklin …no caption needed ?????? she has been ill for quite sometime. losing all that weight due to a pancreas issue etc. she has lost weight but im almost 100% she has some of her intestines removed. losing weight and looking sickly??? Naw. All I can say is the girl, is “HANGING TUFF” !!! !